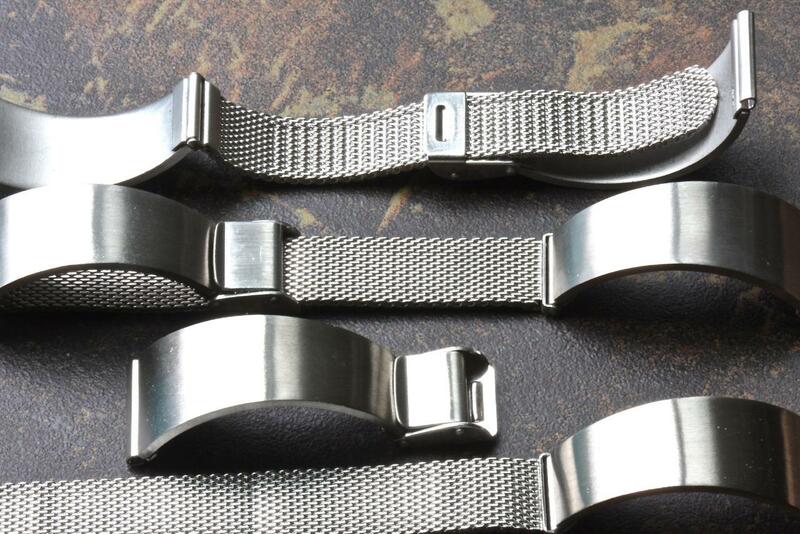 Here are two styles of popular cuff type steel 1960s/70s vintage watch bands. 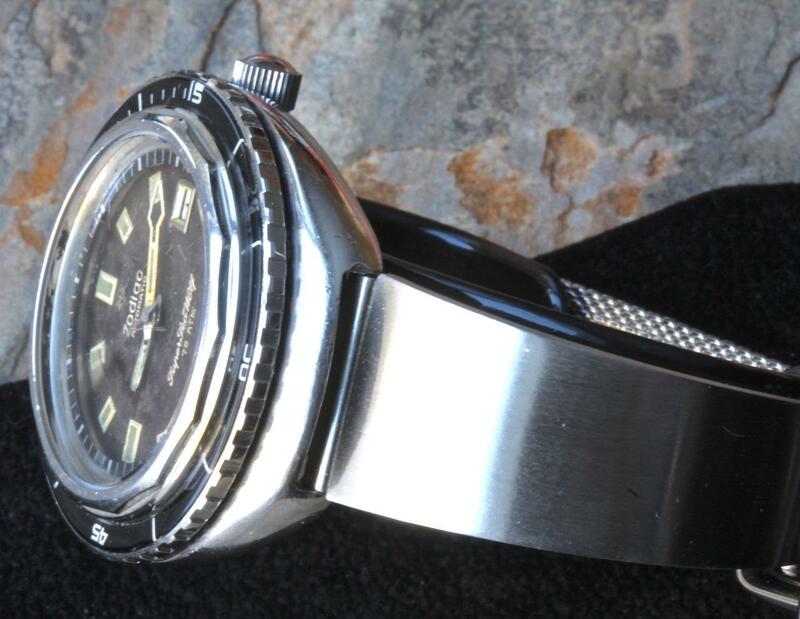 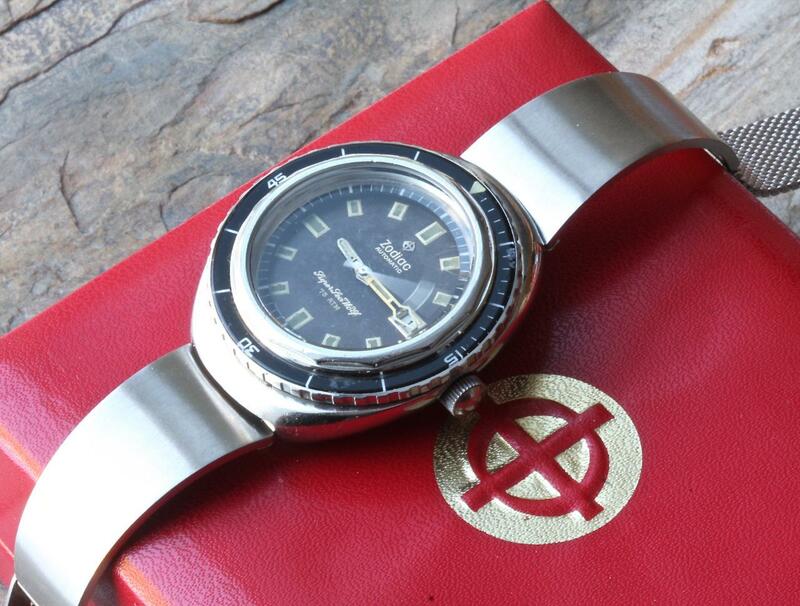 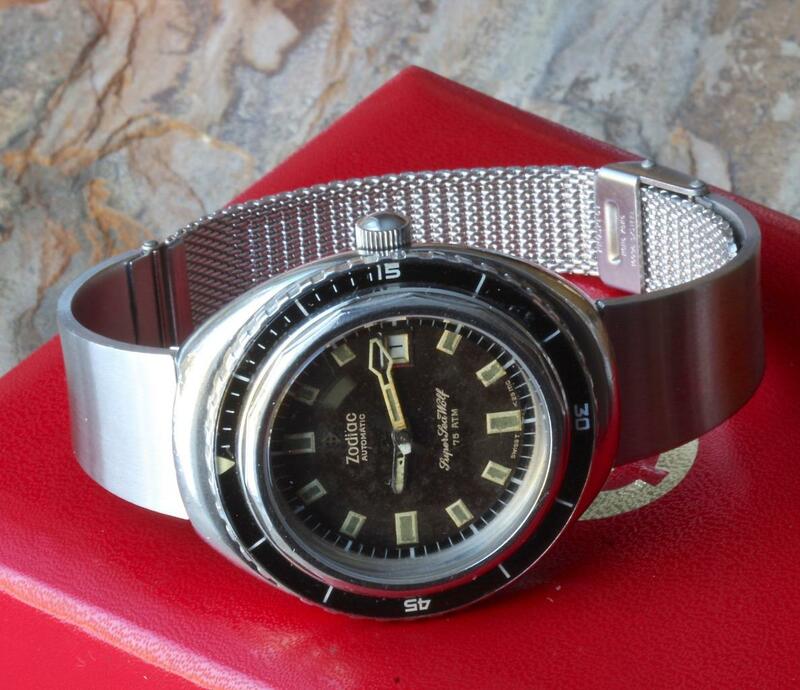 Very unique band ideal for the many 19mm lugs 1970s divers that share the same case style as the Zodiac Super Sea Wolf shown. 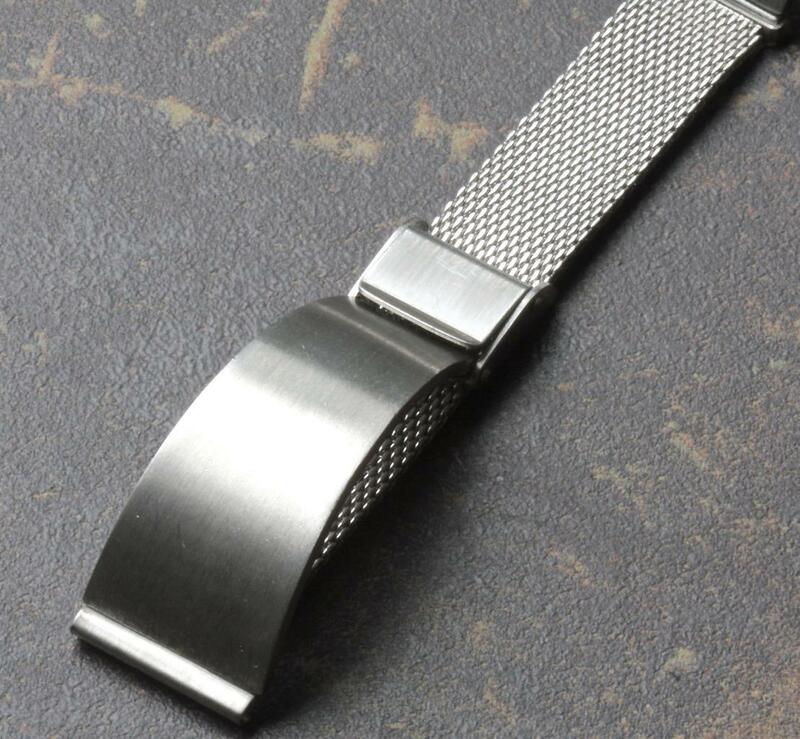 Heavy and solid stainless steel cuff band with solid 2mm thick ends that attach to a 19mm watch, then the band sizes to your wrist with a steel 2mm thick mesh sizing band in the back. 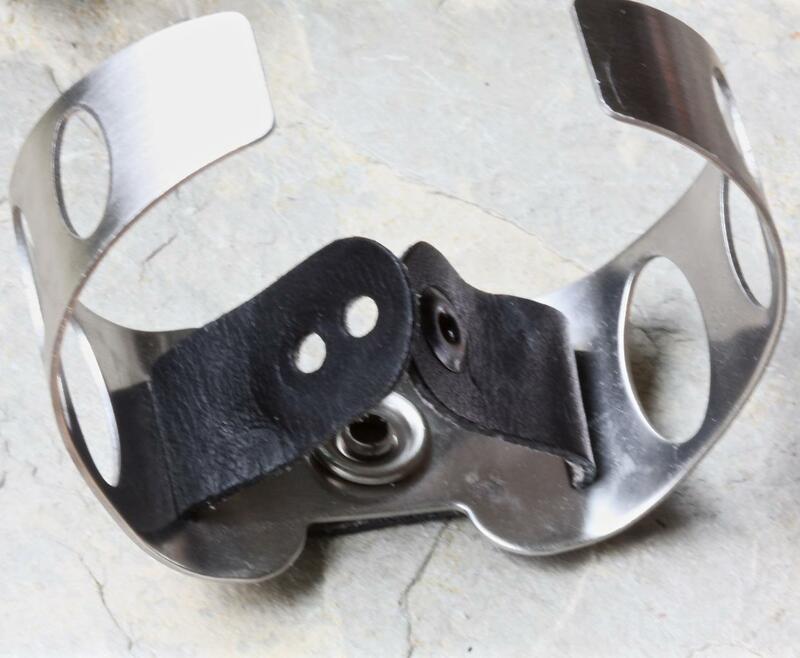 Most cuff bands have limited sizing capacity, but this one sizes much like a leather band; you put it on with the mesh strap sliding through a buckle that locks it down very securely. 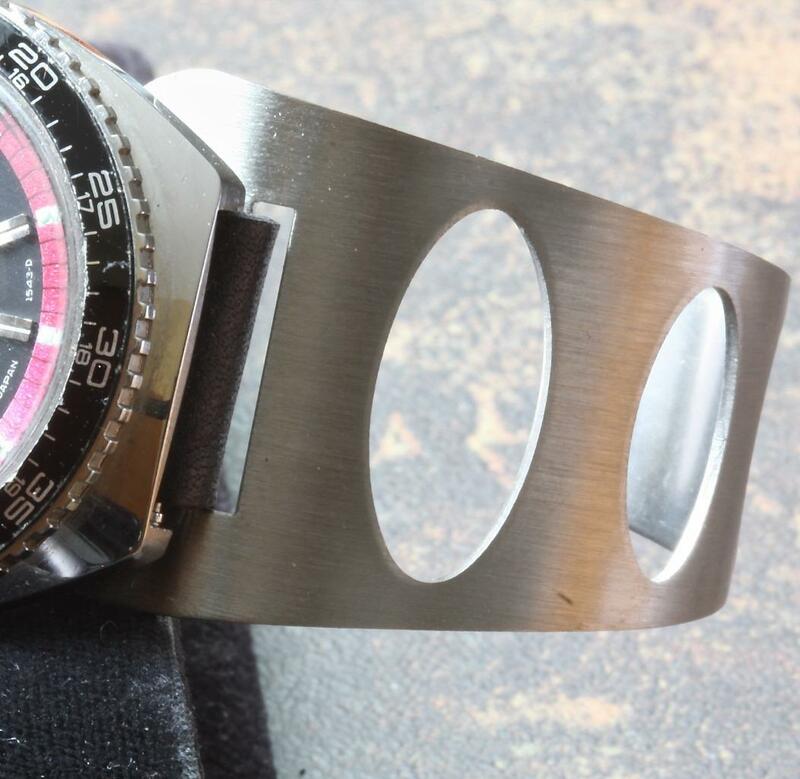 Nice weight to this band at 40g, not one of the thin bands you see of this type. 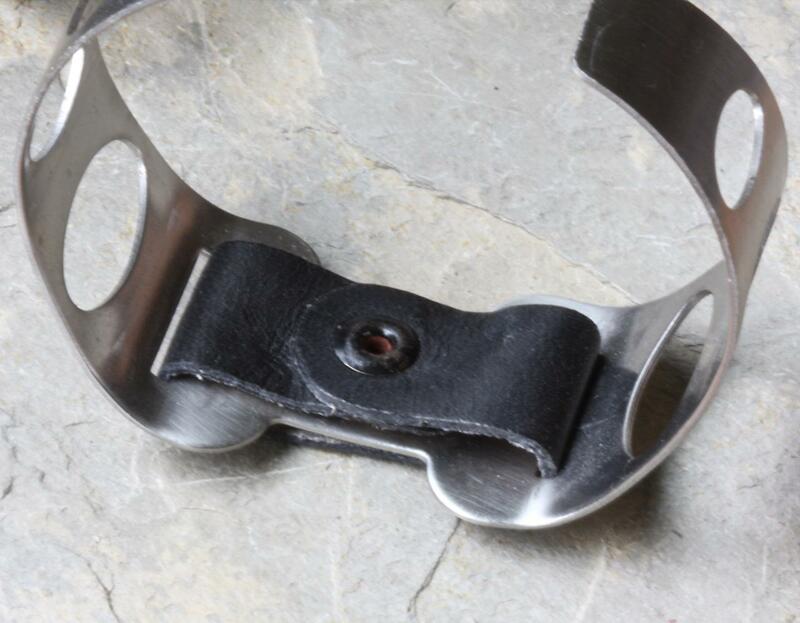 The steel has a satin brushed finish in the solid cuff sections. 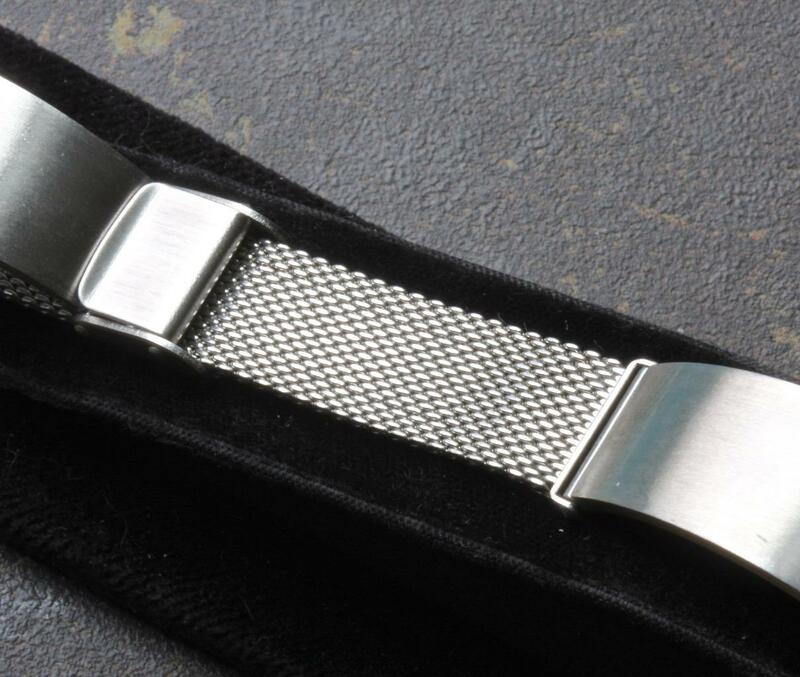 The unique sizing design enables this band to expand up to 6 3/4 inches (17.3cm) long, so mounted on a big watch it will fit wrists up to about 8 1/2 inches (21.5cm). 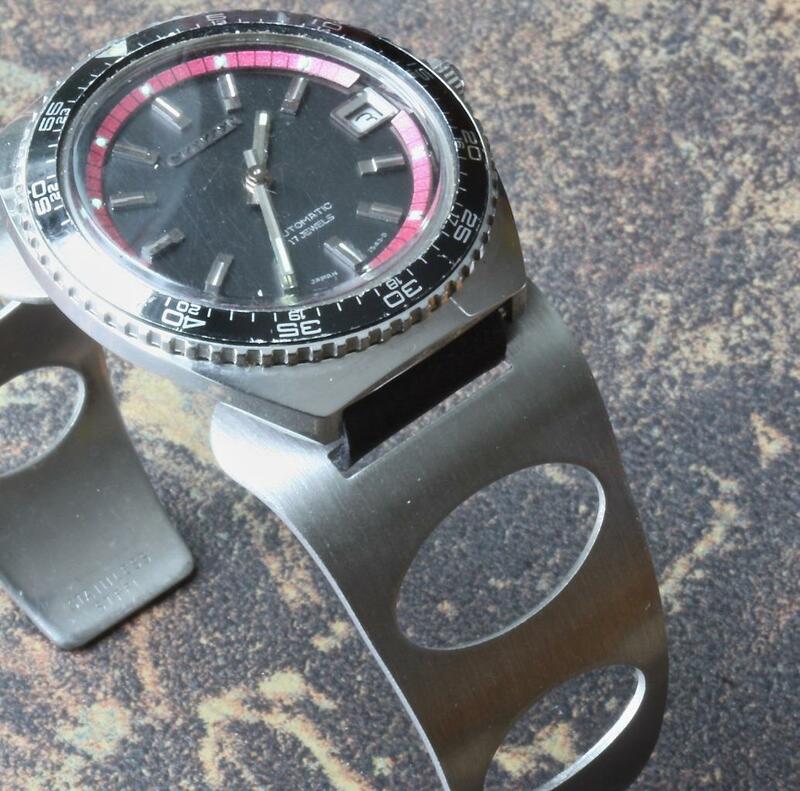 Then it sizes down to fit even the smallest wrists. 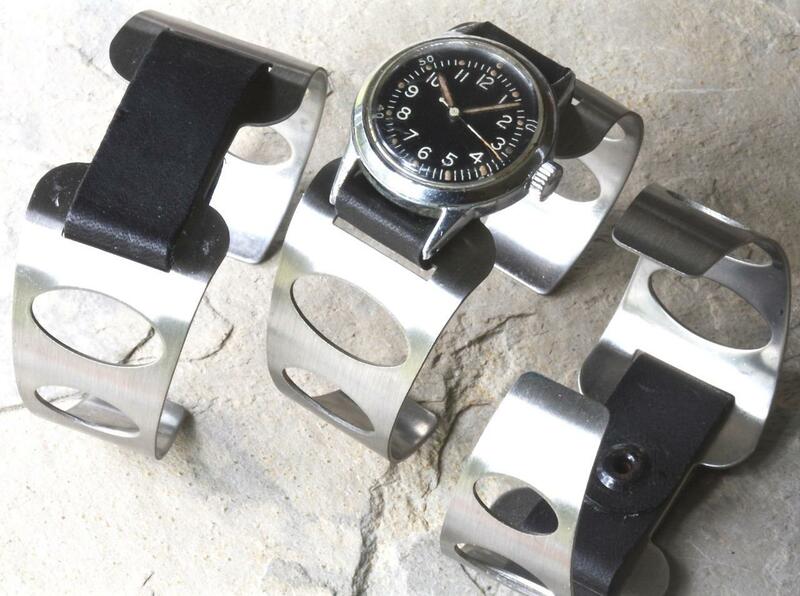 This bracelet works equally as well with a fixed lug watch as one with spring bar attachments because the ends tubes have a slot in the back that fixed bar lugs can slip through. 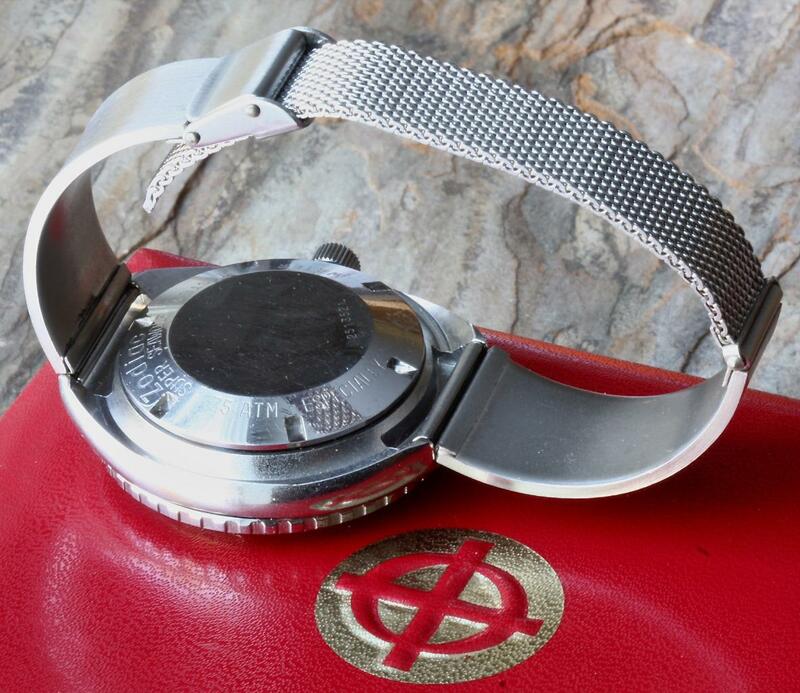 Stamped Stainless Steel Hong Kong on back. 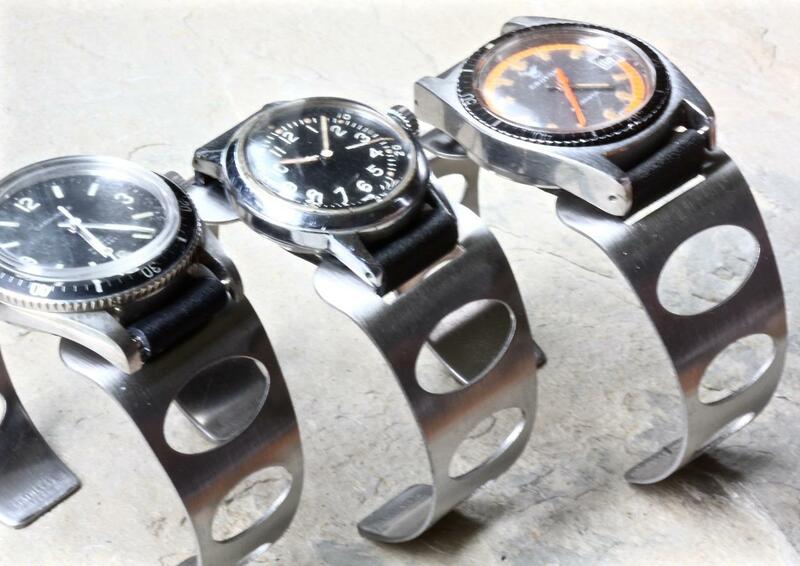 SHIPPING: U.S. buyers pay $6.99 shipping. 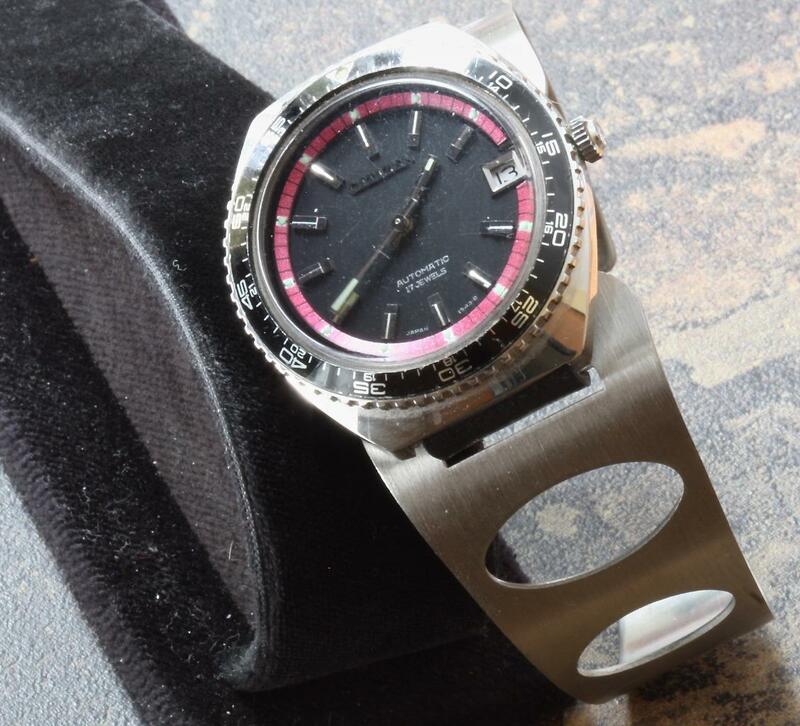 International buyers pay $19.99 for First Class delivery or $40 signed-for recorded Registered shipping required to some countries. 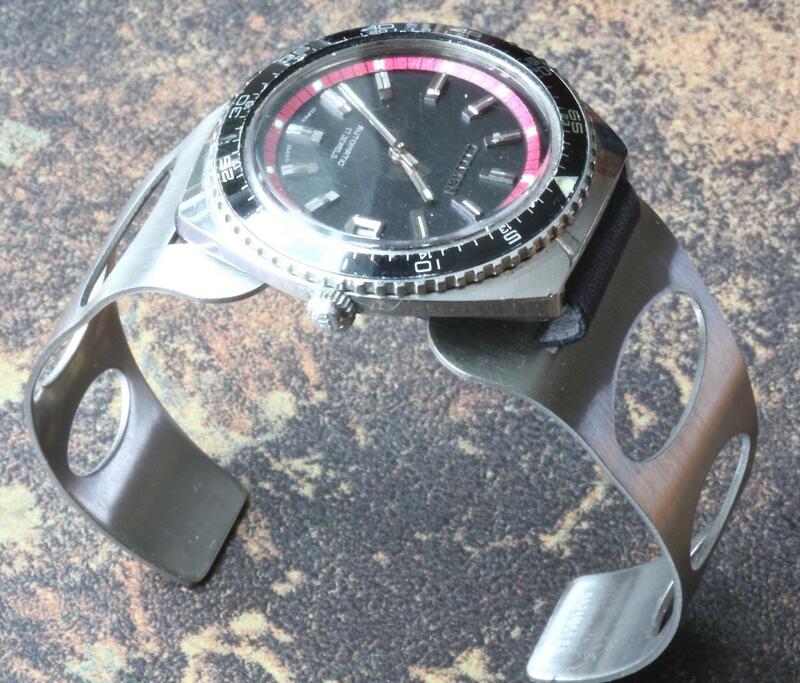 Please browse the Cuff Bands section at Squinky.com to see more of this type vintage watch bracelet.